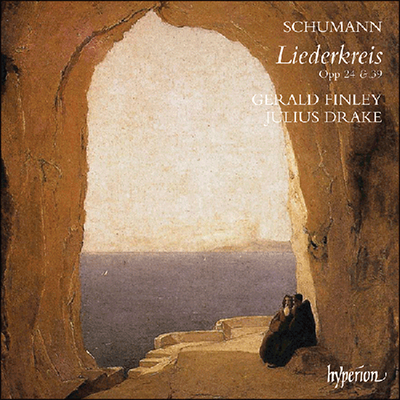 Gerald Finley and Julius Drake return to Schumann, following a magisterially intense Dichterliebe which won them a third Gramophone award. Here they focus on the two contrasting Liederkreis (song-circle) cycles using texts by Heine and Eichendorff. Heine is the poet of Dichterliebe, and Op 24 contains extremes of elation and despair that call all Finleys considerable dramatic powers into play. Eichendorffs seductive, crepuscular night-songs of Op 39 require the velvety tone for which this singer is equally revered. Separating these two great works are the Sechs Gedichte aus dem Liederbuch eines Malers, Op 36, which find Schumann in more homespun, folksong-influenced vein.